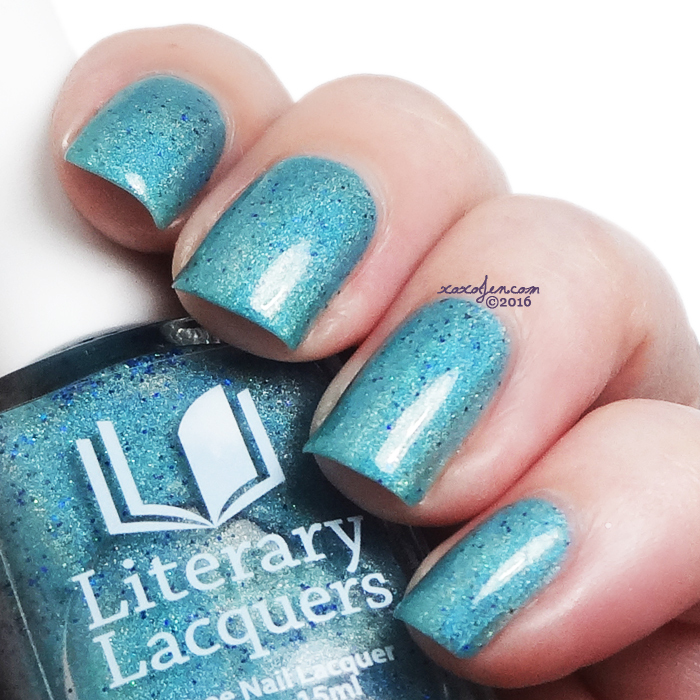 The book club customs this round are both linear holographic polishes. Their inspirations are from the books We Were Liars and Big Little Lies. I enjoyed wearing them both, formula was excellent on each - buttery and smooth as usual. 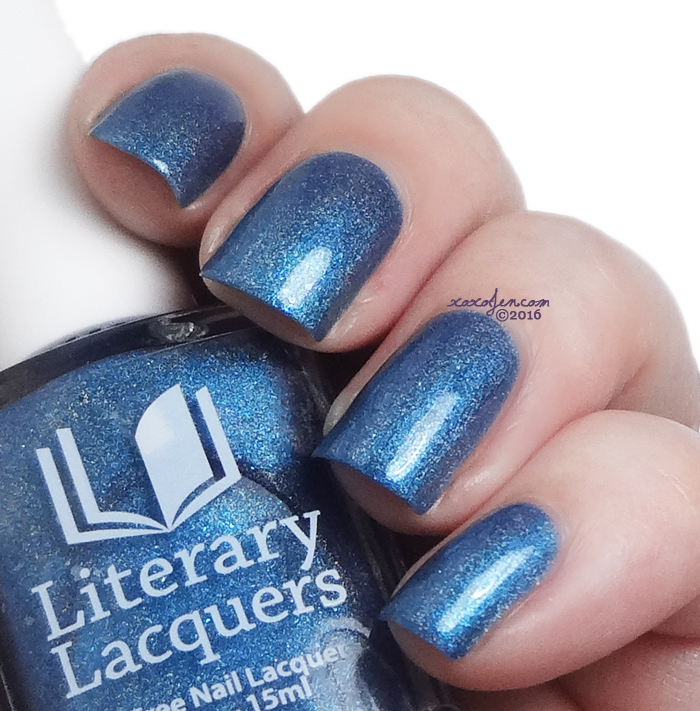 Sugar, Curiosity, and Rain – Deep blue linear holo with light blue shimmer inspired by We Were Liars by E. Lockhart and designed with Christy Eileen Brown. I wore two coats with topcoat to shine and seal. Oh Calamity! 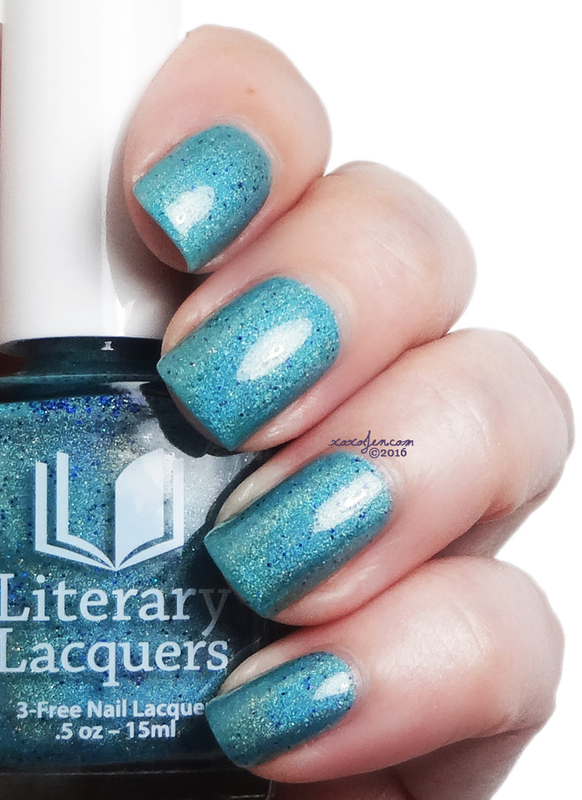 – Aqua linear holo with gold flash and a smattering of deep blue microglitter inspired by Big Little Lies by Liane Moriarty and designed with Samantha Terris Parks. 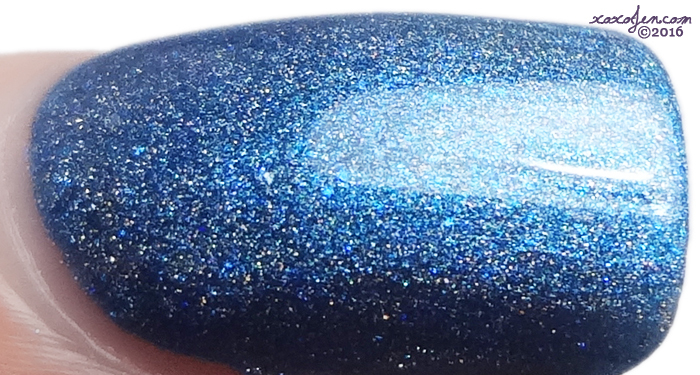 I wore three coats for opacity under bright lighting, you may get away with two though! Smooth to the touch even with the microglitter. 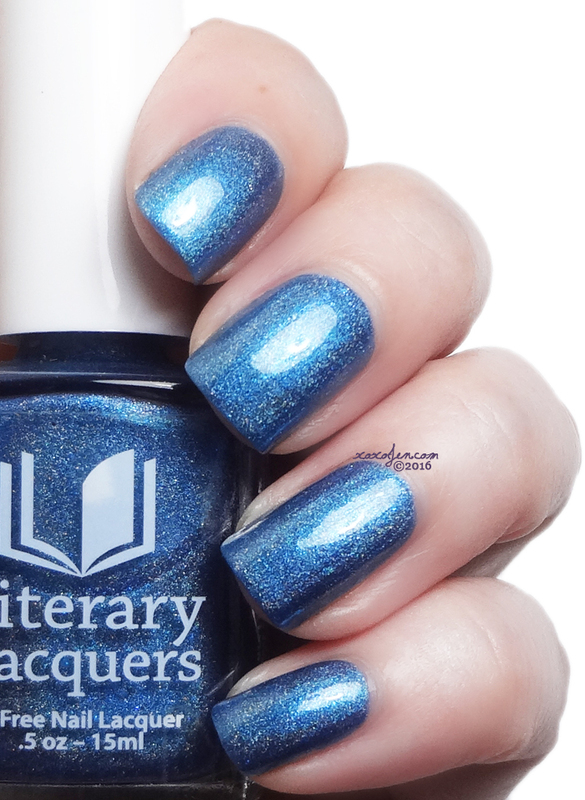 These polishes are limited edition, only available in the Facebook Fan Group for Literary Lacquers and will be available from July 25-August 31. They look good. I love blues!